It is with great sadness that Wilderness Watch announces the death of Bill Worf, our founder, long-time board member, president emeritus, and inspirational leader. He was 85. Bill died of natural causes at his home in Missoula, Montana. Bill dedicated his life to making certain the ideals expressed in the Wilderness Act would live on in the National Wilderness Preservation System. No one alive, then or now, worked as hard or with such great principle toward that goal. Bill was raised on a homestead in Rosebud County, Montana, during the Great Depression where he learned the lessons of hard work and perseverance that were hallmarks of his life. He joined the Marines at 17, and soon found himself in the thick of combat in the invasion of Iwo Jima. After the war, he returned home, married Eva Jean Batey, earned a Bachelor of Science degree in Forestry from the University of Montana, and started a storied 32-year-career with the U.S. Forest Service. Bill began his 50-year affair with wilderness in 1961 when he was appointed forest supervisor overseeing the Bridger Wilderness in the Wind River Range in Wyoming. In typical fashion, Bill jumped into wilderness stewardship with a fervor that attracted the attention of all around him. He initiated the first wilderness management program and hired the first wilderness rangers. He became an outspoken proponent for the wilderness bill at a time when the Forest Service was lukewarm to the legislation. His advocacy for wilderness led the Chief of the Forest Service to select Bill as one of a small group to write the regulations and policies for implementing the Wilderness Act of 1964 shortly after it passed. Bill was then asked to lead the agency’s wilderness program in the Washington Office, which he did for many years before getting his feet back on the ground in the regional office in Missoula, Montana. Upon his retirement from the US Forest Service in 1981 and with the active support of Eva Jean, Bill vowed to dedicate his remaining years to working for sound stewardship and protection of Wilderness. In 1989, he and two colleagues founded Wilderness Watch, the only national citizens’ organization dedicated solely to protecting designated wildernesses and wild rivers. As a measure of Bill’s tremendous credibility, it wasn’t long before former Secretary of Interior, Stewart Udall, and former Secretary of Agriculture, Orville Freeman, accepted Bill’s invitation to join the Wilderness Watch Board of Directors. 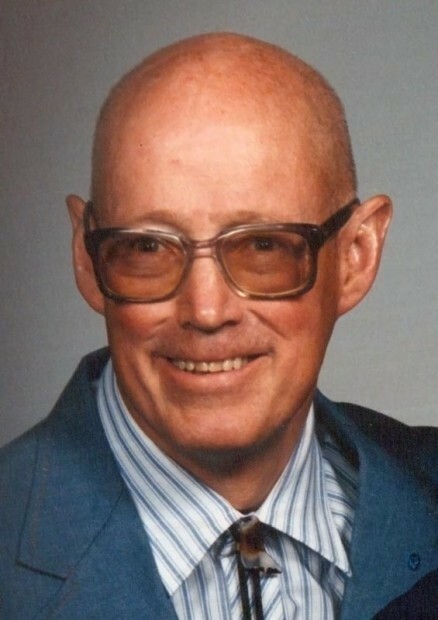 Bill remained active with Wilderness Watch and wilderness issues until his death. “I shall not perish from this earth without doing everything within my realm to save its most precious non-human resource,” he wrote. Bill was the right person in the right place at the right time, and he made the most of it. He inspired an entire generation of wilderness rangers and wilderness advocates and was a hero to many. All of us, but especially future generations of American citizens, are the fortunate recipients of Bill’s dedication to the wilderness cause. Bill Worf will be sorely missed, but his spirit lives on in all those who believe in the principled stewardship and defense of wilderness in America. Bill’s family has asked that donations be made to Wilderness Watch’s Endowment Fund, P.O. Box 9175, Missoula, MT 59807. Click here to read Bill’s obituary. Click here to view a WW video with Bill and to read his founder’s message.